If you’ve ever seen the show Doomsday Preppers, you know that there are some pretty bizarre ideas out there for producing off-the-grid power. This idea isn’t marketed to preppers, but it will no doubt appeal to them as well as to campers and people who want to provide simple power to folks in developing parts of the world. The PowerPot is a brilliant product that makes use of energy that is ordinarily wasted during cooking. 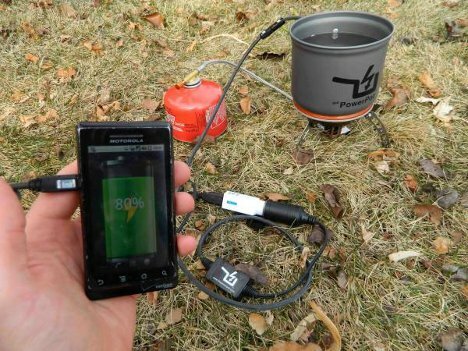 It’s a regular cooking pot, but with one important difference: a small thermoelectric generator attached to the bottom that produces electricity to charge your USB gadgets. It can be used over a fire, on a grill, or even on top of a stove; while your rabbit stew or ranch-style beans are heating up, your electronic gadgets will be charging. A high-temperature, flame-resistant cord connects your gadgets to the pot safely, even when the pot is on an open fire. The fantastically inventive power source could not only be useful for campers, but could be the basis for home businesses in developing countries. In parts of the world, cell phone owners have to travel far distances and pay just to charge their phones. 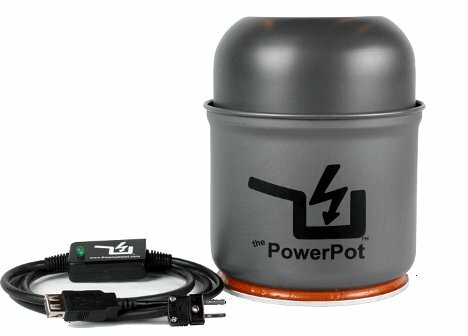 With the PowerPot, they could charge their phones at home and even offer their own electricity for sale. The PowerPot comes in 5W, 10W and 15W sizes, and fundraising is ongoing on Kickstarter. 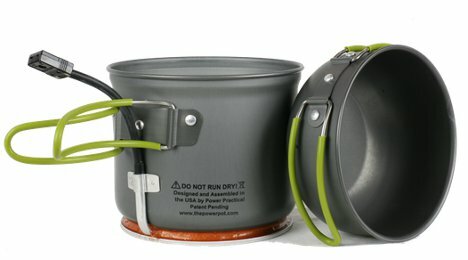 For $99 you can provide a PowerPot to someone in a developing nation, or for $125 you can pre-order one of your own. See more in Energy & Power or under Science. April, 2012.